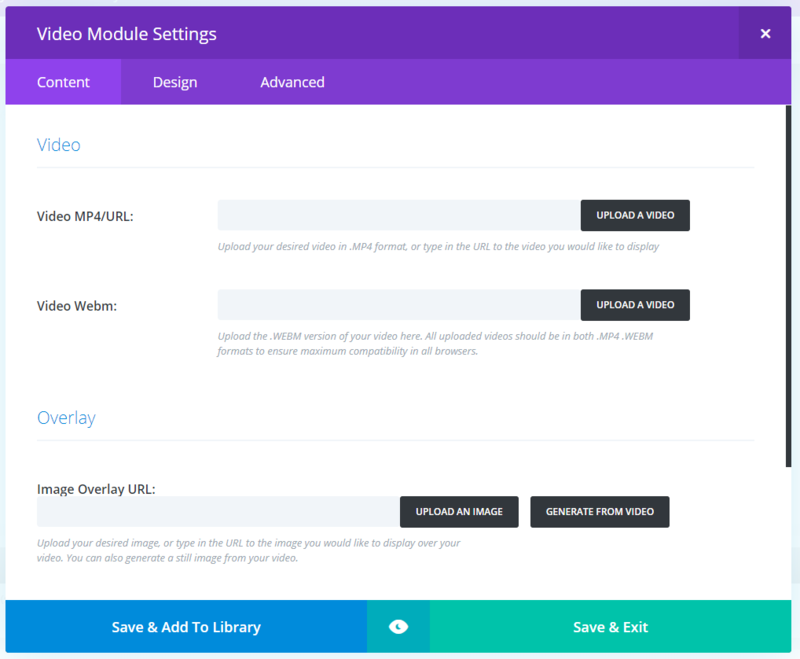 Term - Module(s) = Building tool used to create text, images, videos - you name it! Learn More basic terms here! 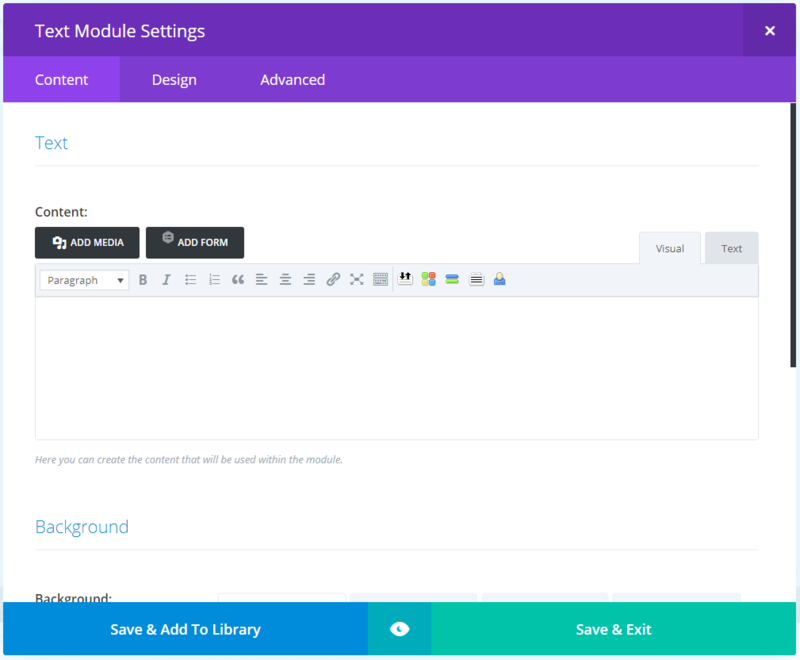 To add new text or images click the (+) “Insert Modules” button. This will open different elements for you to choose to add to your page. 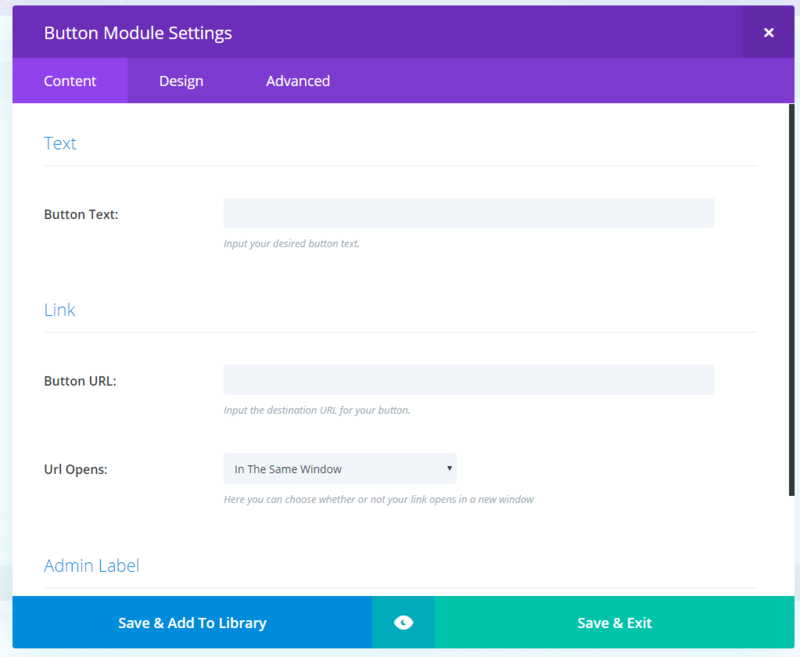 Select the module/ element you want to add: Text, Image, Gallery etc. Below are descriptions on the most used modules. Add your content here. Within the 'Design' settings, you can set alignment, font, sizes, animation and more. Click “Save & Exit” after you’re finished. 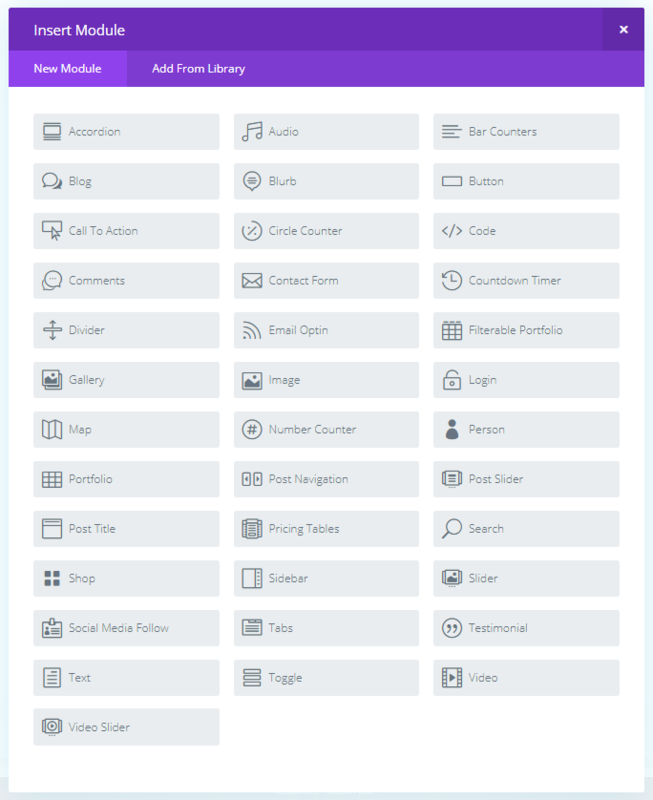 To add the button element, select it from the elements library. Here you can add/edit title, URL, how it links out. Within 'Design' settings alignment, animation and more. Click “Save & Exit” after you’re finished. 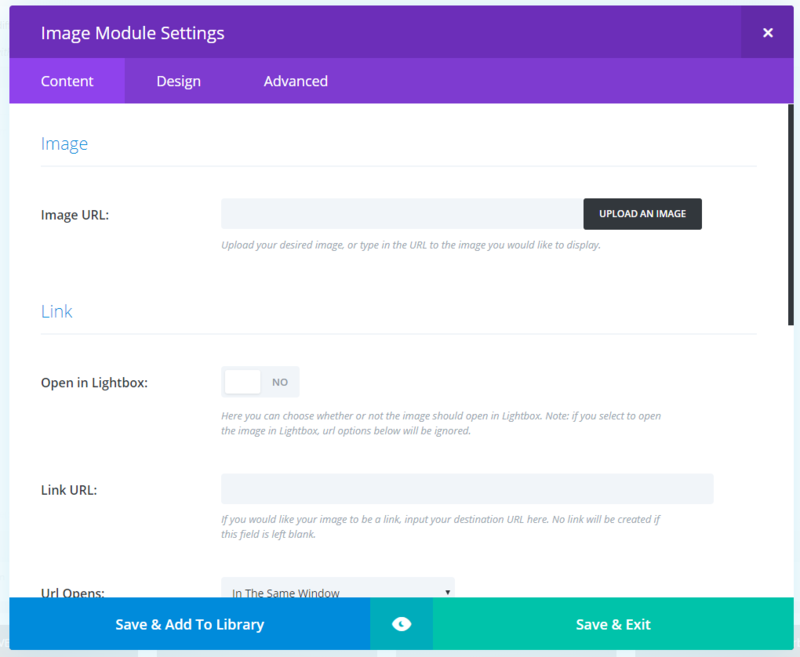 Add your image link by clicking “Upload an Image,” within the 'Design' settings you can set alignment, animation and more. Click “Save & Exit” after you’re finished. Add your image by uploading or selecting an image from your media library. Note: Videos come in different sizes and links. Some videos provide share links and custom URL links. If you have a video file like a MP4 or MPG you can upload the video to your media library, be aware of large video file sizes that may cause loading issues.